I am happy that I have recently found another two Iwasa Misaki performances on YouTube. 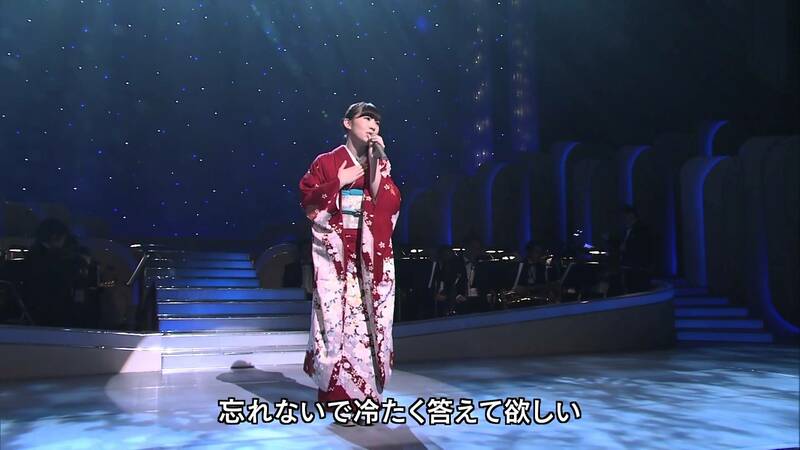 Wasamin is performing once again on a Japansese TV show which features singers performing in the “Enka” style. 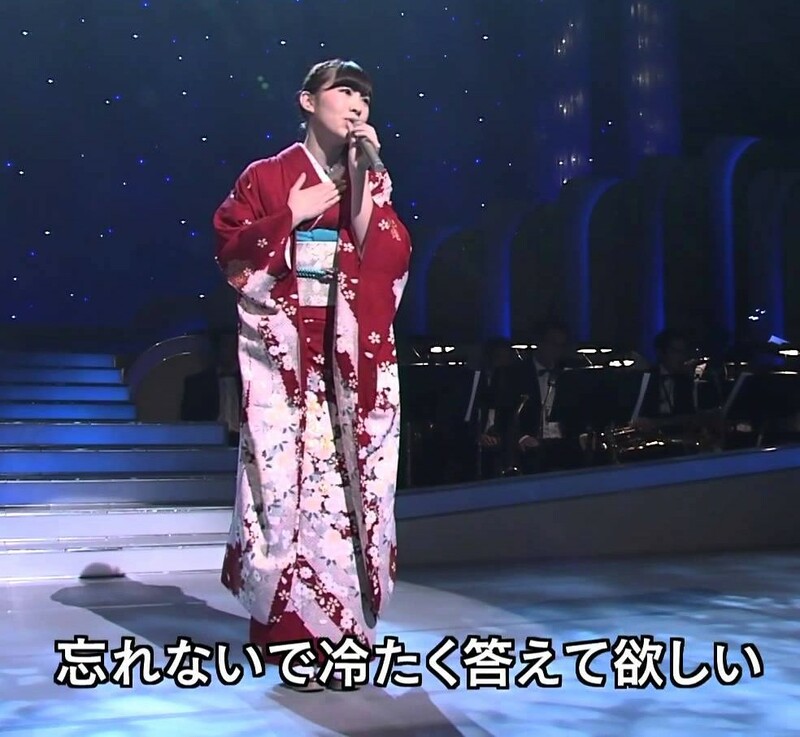 Wasamin’s “Enka” style recordings are very different from the rest of AKB48. 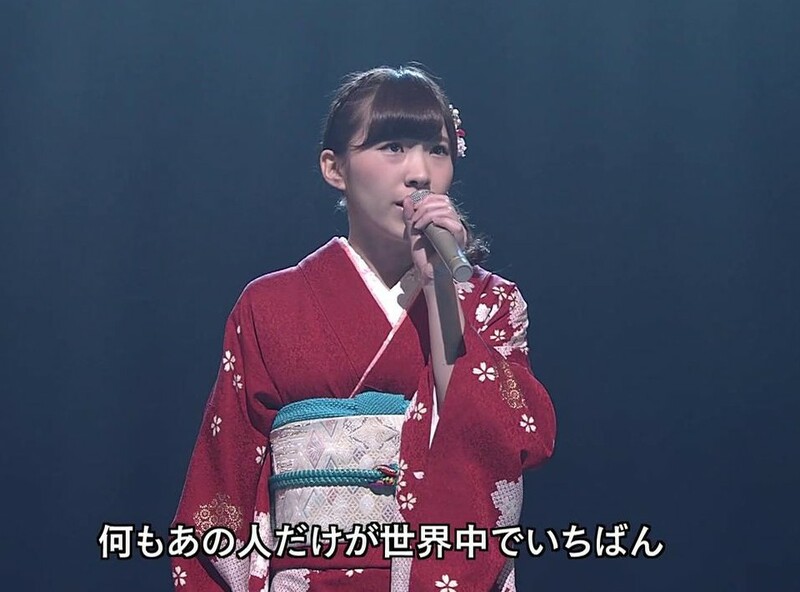 Enka music is more traditional Japanese sound, which was popular before and after World War II. (I will write more on that at a latter post.) Enka may sound melancholy and sadly nostalgic. I think it is heartwarming, exotic and fun to listen to however. Like country music – sometimes sad songs can make you feel good – if that makes any sense? Is there a better living Enka-singer out there? If not Iwasa Misaki, then who? I am using this one below as my computer wallpaper. Click the thumbnail for full size! There should be plenty of room for your icons around the side. Trouble is — I CAN’T GET WORK DONE!!! I can’t leave her … I don’t want to open any programs! I guess I had better get used to working on several small, re-sized windows. One window to keep open might be YouTube so you can enjoy these performances in HD! Thank you YouTube users My Favorite Channel and mega tubarne . Arigatō ! 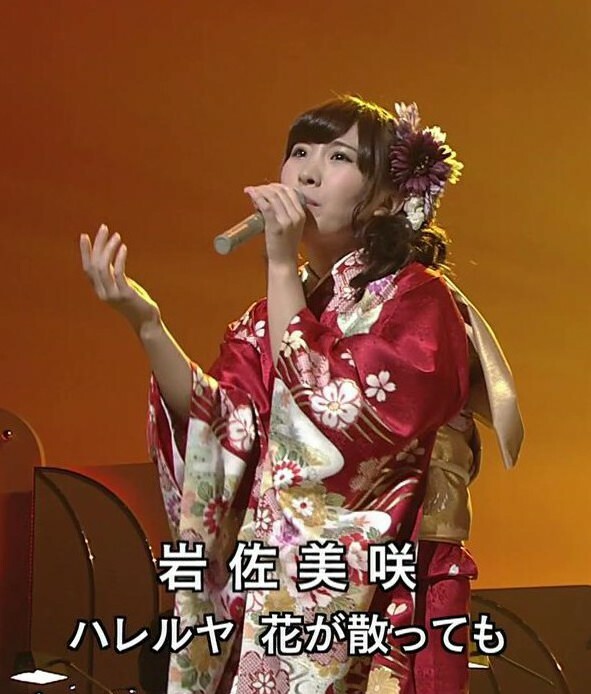 Wasamin has also just released a new Enka single CD + DVD music video. I have already ordered in on Amazon. 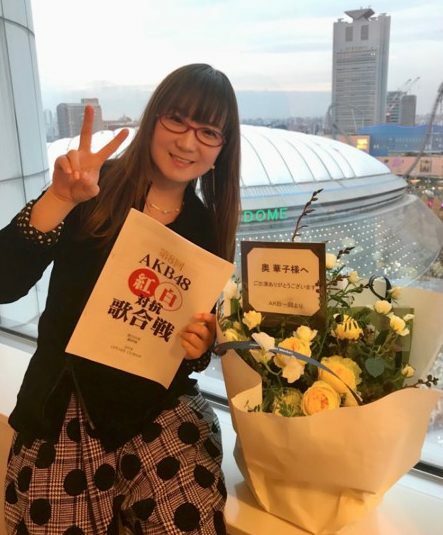 This will have to be the subject of another post, but you can preview it at the AKB48 Daily blog link here. Starlight: The singularity is brighter in the past? How can that be? 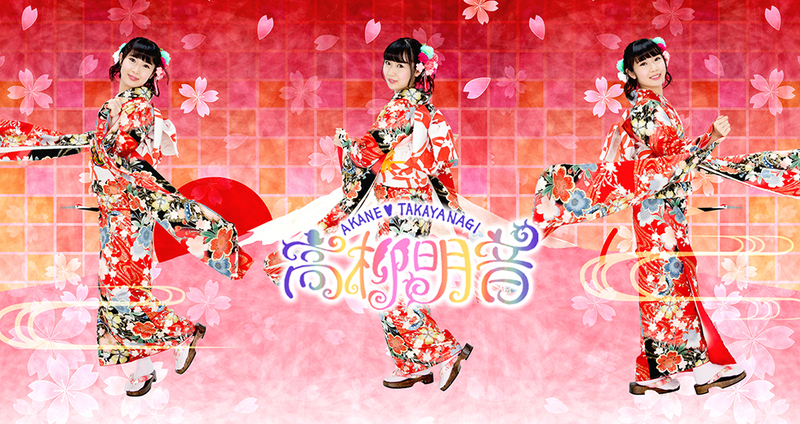 KIMONOS ON MONDAY (Bonus Edition): New Year wallpapers from Akane Takayanagi of SKE48. I wanted to share some kimono images that may be used as wallpapers. SKE48 member Akane Takayanagi is very colorful here.